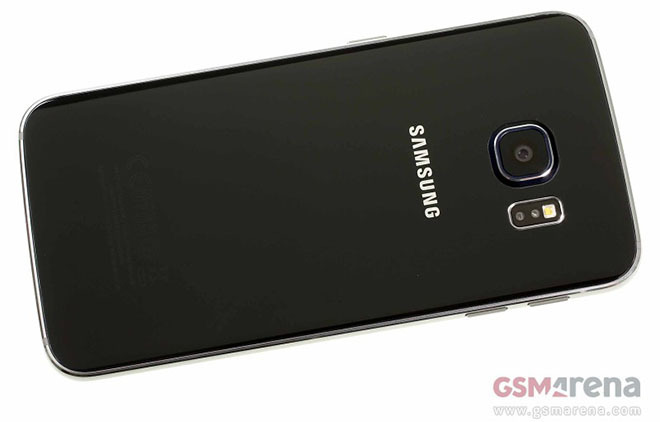 A Greek Tech Blog pointed at a potential issue with the chrome finish around the camera of the Galaxy S6 edge. The color layer on top of the chrome-finish aluminum ring over the protruding camera easily comes off by simply rubbing it with a finger. As noted in the video only the color on top of the aluminum ring wears off with chafing and thereby appearing worn out. It would take some severe scratching with some pressure to wear of the actual aluminum underneath.